After many pages of carrier lists, it's time for a look at some of the strange examples of "naval aviation" that we've run across while working on the lists. Some of these are things that don't quite fit in the carrier lists but seem to deserve mention, while others are in the lists but need a second look. This is by no means a comprehensive list of the "oddities" out there, and additional photographs and information are always welcome. Part I - The "Early Days" and Experimentation. Part II - Submarines and Destroyers. 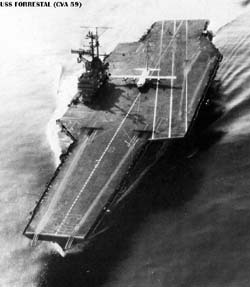 Part III - Barges, Landing Ships, and other bizarre platforms. Part IV - Really Wierd Stuff. Including decoys, movie props, disguises, ships in aircraft, big aircraft on ships, drones, etc.